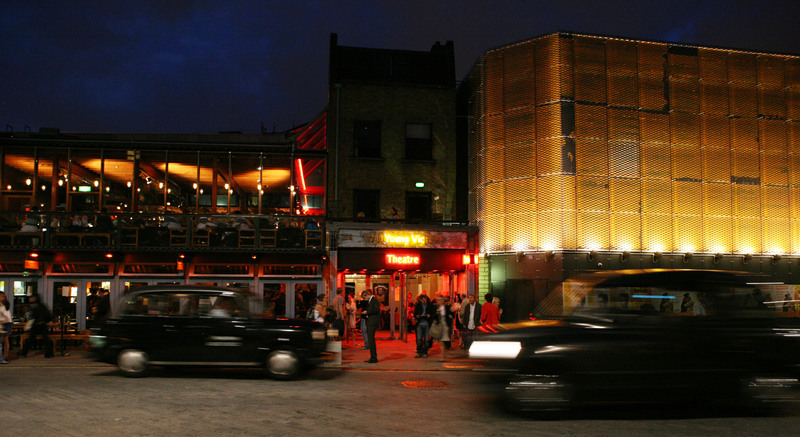 #40 Facts – Jim Dale and Keith Moon had an altercation at the Young Vic! In 1974, we had a production of The Taming of the Shrew with a young Richard Gere in his theatrical debut (cool) and Jim Dale (Grammy Award winner and of Carry On fame) played Petruchio. 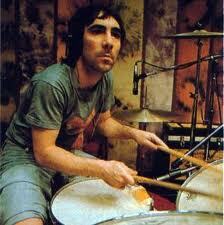 Keith Moon, The Who drummer, was in the audience that night. During the curtain call – a ‘somewhat chemically excited’ (The Guardian) Keith Moon stood up and started to bow next to the actors. 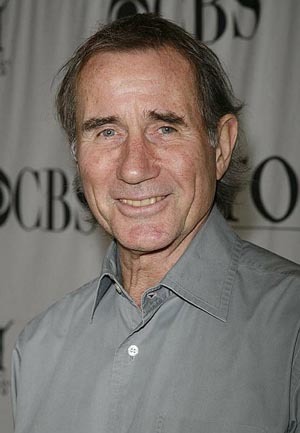 Jim Dale, infuriated by this, chased Keith off the stage and out of the theatre – yelling “I’LL MURDER HIM”. I’m Chinese and have always had a strong identity about it. 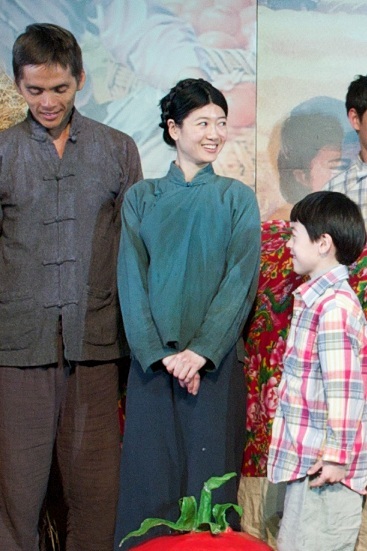 Being in Wild Swans has made me more aware of the history of Mainland China and what propelled my forefathers to leave China in the first place and be part of the great Chinese diaspora. Jia – a feisty peasant married to Bolin. When I did my first freestanding headstand in yoga class. If you could have a room full of any one thing, what would it be? Watch films, do yoga and listen to music. It’s a toss up between Inner Mongolia and Tasmania. I have a few strange ones like ‘touching wood’ and fretting if no real wood is nearby. To be invisible when I feel like it. I don’t believe in regrets. 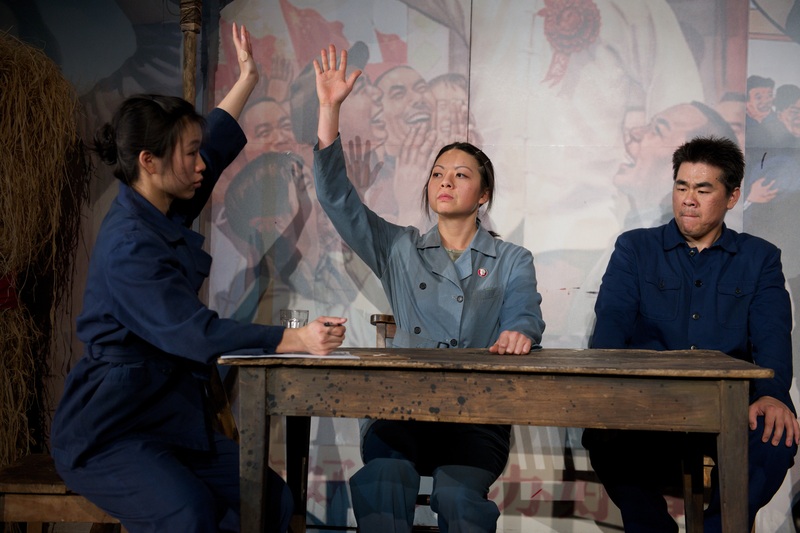 Wild Swans (part of World Stages London) plays at the Young Vic until 13 May. Tickets are sold out but we do get returns… call 020 7922 2922 on the day for availability. 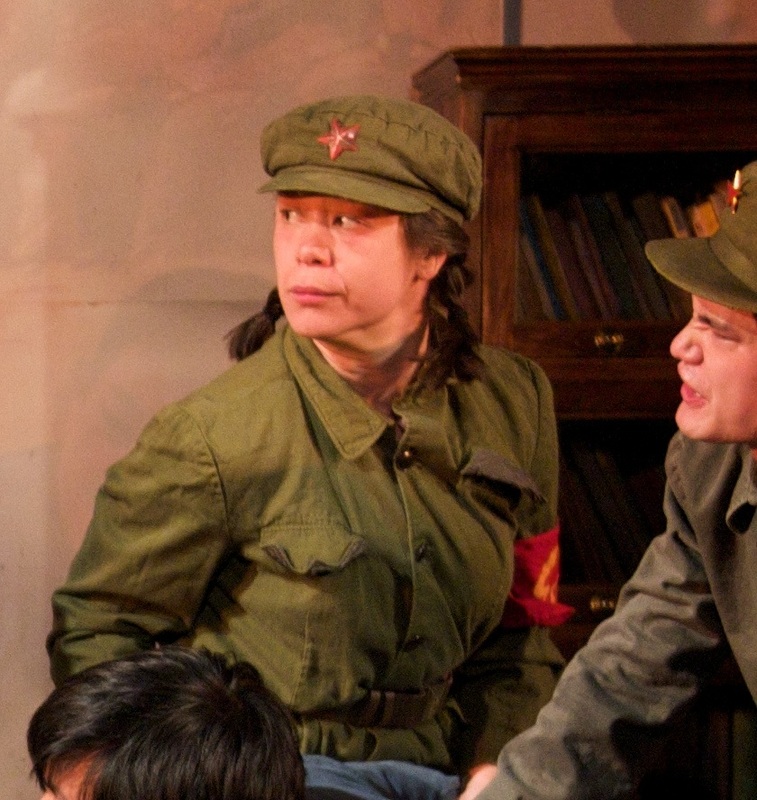 Working on Wild Swans has allowed me to explore the opposite perspective of the Chinese Civil War. Growing up with Nationalist grandparents, I never questioned the validity of their opinion and experience, so it was eye-opening to immerse myself in the history of the other side. Ting devotes her entire life to finding a place of value for herself. All she wants is to be important and loved. When I really go after something and give it my all – to have done the very best that I can do. Spend an extra few minutes chatting with people throughout the day i.e. the barista, the mail clerk, the security guard at Tesco, the person behind me in a queue… also to catch-up regularly with family and friends. I fold candy or gum wrappers until it’s as thin as possible and then tie it in a knot. My only unconscious OCD habit. Next up in this series is Joanne Fong, who plays Huifen in Wild Swans. Jo is also the Movement Associate for Wild Swans. She was the winner of Best Female Award by the Critic’s Dance Circle for the role of Natasya Flippovna in Elegy and is an Associate Choreographer for Welsh Dance Projects, Coreo Cymru. She has performed with Rambert Dance Company, Rosas, DV8 Physical Theatre, National Dance Company Wales and many more other dance and theatre companies. I play Huifen, an oppressed peasant. Powerless. Hard-working Chinese. Now I understand why my Dad gets worried when I say I want to go into farming. Farming equals peasant. Growing so many courgettes I had to pickle them. Steam / heat – sauna. I would probably sleep to try and catch up. To have as much energy as when I was 25. I was a superhero. Next up in this series is Oliver Biles, who plays Weimin in Wild Swans. Working on Wild Swans has been an absolute pleasure. It is the first time I have worked on a new writing piece and I found it extremely refreshing to have such an input into the production and even my own character (which was created during the rehearsal process!) It has also been a real eye-opener for me in terms of learning more about my Chinese heritage. I can finally speak some Mandarin phrases! Weimin is a brain washed youth. 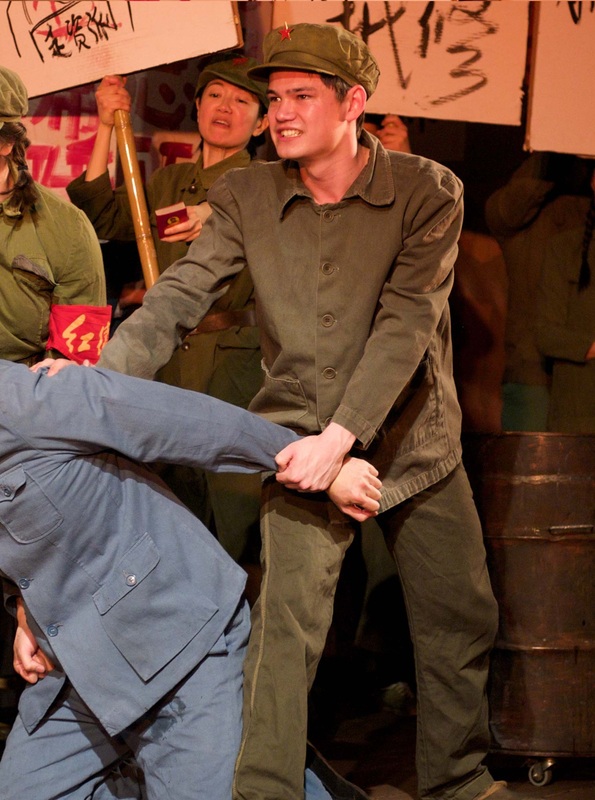 Chairman Mao has made him believe that everything ‘Old’ should be destroyed and that everyone should be converted to being ‘Red’ – the new communist China. Weimin’s passion for the cause is what can be so frightening as he blindly obeys orders from a book and a person that he has never actually met. Apparently I say the word ‘jokes’ quite often but this came from an American friend I met in Boston and apparently they never use that word there to describe something! When I was a compere for Sainsbury’s Annual Conference in 2007. I was 17 and was performing in front of around 4,500 people. At the end of the weekend I was welcomed back on stage by the CEO, they raised the house lights and I received a standing ovation from the audience. I will never forget that moment. Technology & the Internet. Give me my Macbook, iMac, TV and sound system and I wouldn’t need much else! Probably procrastinate like crazy. A job that should take me about thirty minutes ends up taking me 4 hours. But seeing as quitting procrastination was one of my New Years resolutions it would have to be something more productive like writing a script. It actually has to be my trip to Boston/Las Vegas/New York. We took Wild Swans to Boston for a month before opening at the Young Vic. I met some amazing people out in America and decided to use my time effectively and went on to Vegas and New York after the run. I have always wanted to go to Vegas as I am a keen poker player. In three days I managed to win enough money to buy myself a little car and pay for my entire trip! I’m already saving to get back out there! I don’t think this is particularly weird but my friends do. I have to have around two hours from when my alarm goes off to leaving the house for work. It takes me a while to do things and I sit in bed for at least 45 minutes checking my phone. Is this weird? There must be other people out there that do the same! I have so many, but I have always been a big fan of Pillowman by Martin McDonagh. The ability to create more super powers for myself! I try to live life without having regrets – keep calm and carry on. Mr Kipling’s Angel Slices. If you haven’t tried them I highly recommend it! 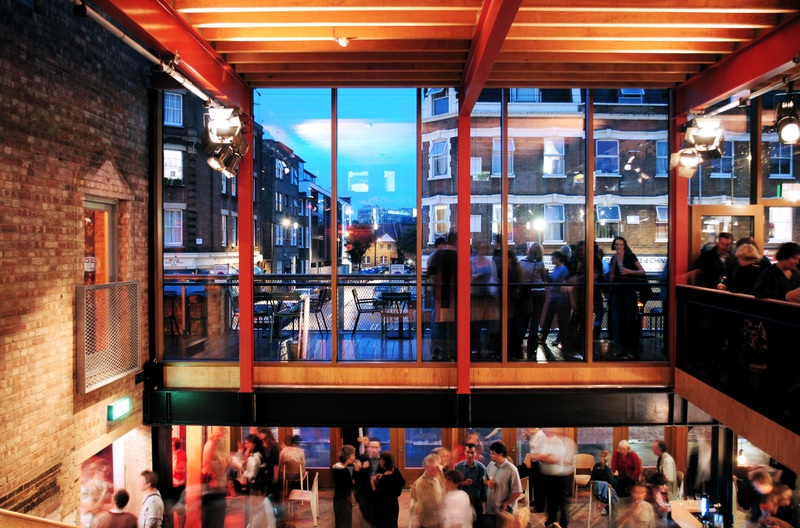 Did you ever notice that our restaurant/bar The Cut Bar is lit by theatre lights? If you haven’t been to our bar before, you must come for a visit. It’s open from 9am till late and the menu often includes production-themed drinks and food, so there is always something different offered. 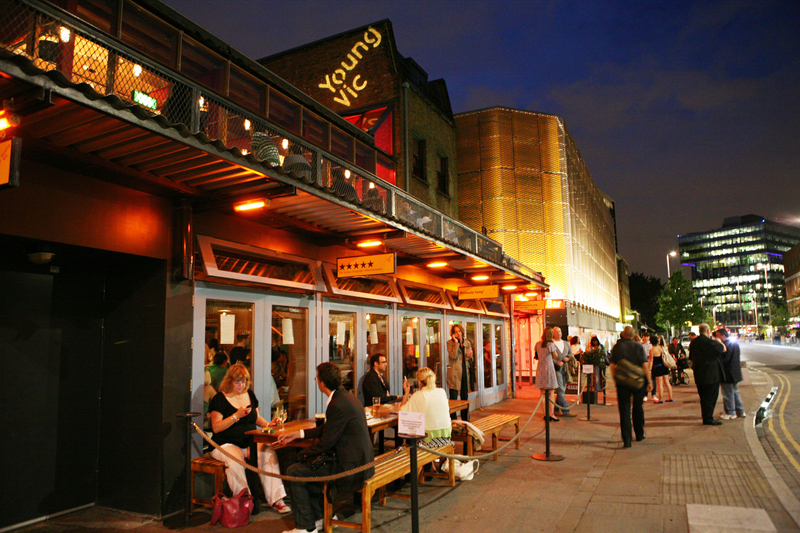 Plus Fiona Shaw calls it ‘the sexiest bar in London’! #40 Facts: We’re built on a slope!